The band's 'agit-jitter guitar pop' not only led to their 2005 debut album Silent Alarm selling a million copies, it also won them an earnest reputation as a truly impressive, expansive rock band standing head and shoulders above a sea of 'landfill indie' mediocrity. The band, which includes guitarist Russell Lissack, bassist Gordon Moakes and drummer Matt Tong, flirted with dance beats on their last single 'Flux' which served as a snack to chew on as the foursome lay the groundwork for their third album, but the heart of the band, despite any digtal flirtations remains Tong's feverish rhythms and Okereke's distinctive, baleful tones. 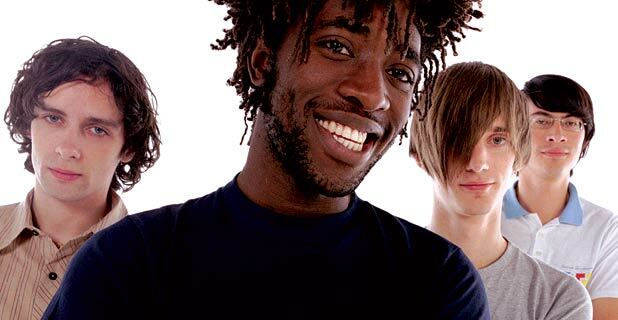 Describing themselves as 'melodic and dark, danceable yet powerful, something that will keep you yelling for more', Bloc Party's stadium moment could well be happening right in front of us, under the watchful eye of Inveraray Castle.